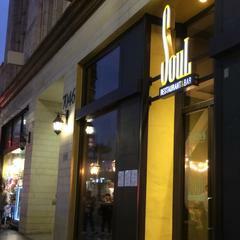 Hiring an experienced busser / expo / barback (cross trained) for upscale restaurant & bar on Hollywood Blvd. <br><br>Must be used to a a fast pace environment at a full bar. Must have ServSafe Food Handler certification.<br><br>Must be available nights & weekends.<br><br>You must be able to lift 30 pounds, remain standing for your shift & have reliable transportation to work. We are located near public transportation. Must be able to memorize the menu to know what items go with which dishes before they are sent out to the tables.<br><br>Strong communication skills is essential, bilingual (English / Spanish) ideal.